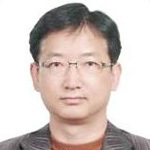 Dae Kyeong Kim has been working for Korea Electrotechnology Research Institute since 1987. As the director of Smart Power Facility Research Center in Smart Grid Research Division, KERI, he is currently responsible for leading many smart grid related projects. He has been appointed as the national standards coordinator for smart grid since 1st of April 2011. Before that, he was the chairman of the electric vehicle standardization study group and the person in charge of the national smart grid roadmap. As an active speaker and participant on the theme of smart grid, he has been regularly participated in international meeting such as APEC EGNRET, APEC Smart Grid Initiative, Northeast Asia Standards Cooperation Forum and so on. He has master degree in electrical engineering from Han-Yang University, Korea.